​Bemsco excels at difficult to machine parts that often require high temperature heat treated exotic metals, including Inconel, Hastelloy, Stainless steel, and Titanium, to name a few. 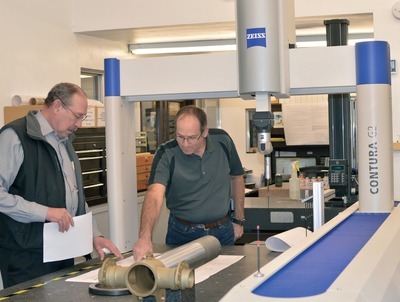 They are also working with General Atomics test machining Ferrium S53, which is a corrosion resistant, ultra-high strength steel for structural aerospace and other applications where 300M (BS S155) and 4340 are typically used. Clint says that the S53 steel provides much greater resistance to general corrosion and to stress corrosion cracking. Bemsco is AS9100/ISO 9001 certified offering superior machining (milling and turning) capabilities. With an inventory of 23 machines in-house (14 CNC machines), V.P., Jeff Block says that Bemsco is primarily a Mazak shop. 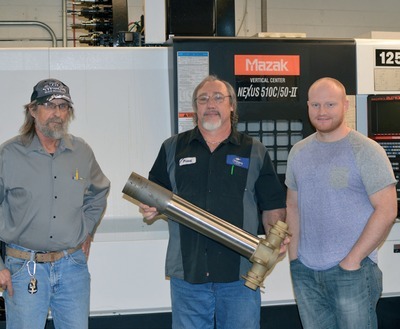 “We own 12 Mazak machines, having used them for decades. 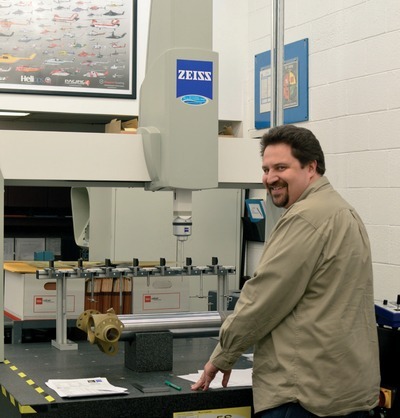 Our Quality Assurance department is furnished with two Zeiss Coordinate Measuring Machines (CMM), and three Trimos Vertical Micro-Heights.” Bemsco’s superior quality has earned them ‘Performance ​Excellence Awards’ from Boeing, Sikorsky, and Lockheed. Bemsco’s latest machine tool purchase introduced long-bed five axis machining. Block says the new Mazak VTC-800/30-SR was purchased for a specific job. 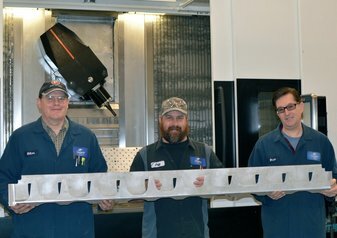 They had been machining a part for a customer prior to their purchase of the five axis Mazak, but it was cumbersome, requiring nine operations. 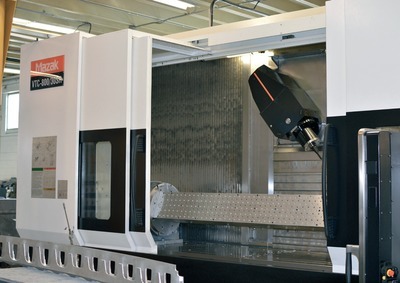 Block says their five axis Mazak VTC-800/30-SR reduced machining to four operations. “Extensive savings in set-up and production time were achieved through our new technology”, he adds. into two separate work areas. • The footprint of the VTC-800 is ideal for Bemsco, because of their very full machine shop environment, utilizing nearly all of their 22,000 square feet dedicated to machining (the company operates in a 36,000 square foot building in the heart of Salt Lake City). Muhlestein says with competitive five axis machines, they would’ve needed 35-40% more space for the new machine.